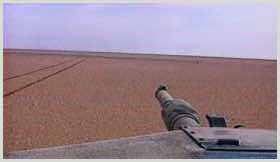 Description: Firing 105 mm L52 M68 rifled cannon, Desert, Night vision, Iraq, Gunner, Firing Cannon Shot at high speedSlow Motion, Firing Range. 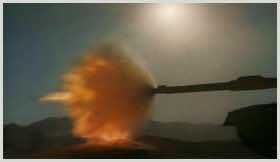 Description: Firing 105 mm L52 M68 rifled cannon, Desert, Night vision, Iraq, Gunner Station, Driver, Firing Cannon Shot at high speedSlow Motion, Firing Range, M2 Browning. 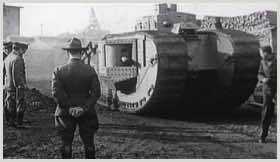 Description: WWI Trenches, British Mark V Tank, Little Willie, Renault FT, French Soldiers, German Machinguns, Leveling a tree. 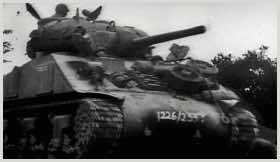 Description: German Panzer, Tiger Tank, Tiger II, Panther Tank, Leopard Tank, M4 Sherman Tank, M26 Pershing, M2 Tank, Russian T-34 Factory, 7TP, Tank Crews, Panzerfaust, Russian Machine Guns, Artillery, Field Marshal Bernard Montgomery, Hawker Typhoon, Belgium, Lancaster Bombing, Belgium, Dead and wounded Soldiers, Funerals, Normandy Landing, Maginot Line, Winter, Germany. 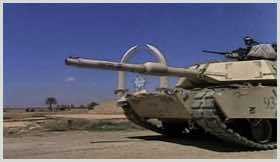 Description: Iraqi Troops, Iraqi Military Parades, Saddam Hussein, Apache, Aircraft Carrier, Night Vision Bombing, Kuwait, M1A1 Abrams, Bunker Busters, M-84, Surrender, Prisoners, Norman Schwarzkop, T-72, American Soldiers Returning Home, Artillery. 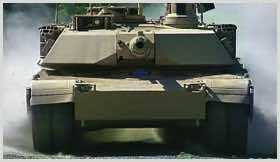 Description: Operation Iraqi Freedom, Iraqi Troops, Baghdad, Bridge, Cobra Helicopter, Night Vision, Bombing, M1A2 Abrams, Bunker Busters, M109A6 Paladin, B-2 Stealth Bomber, Artillery, Saddam Hussein.